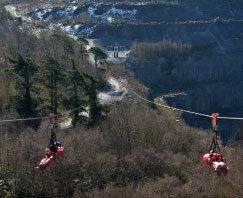 Zip World Velocity, Bethesda, is the fastest zip line in the world and the longest in Europe. This adventure takes you on the Little Zipper to build your confidence before you journey up the quarry on our famous red trucks. 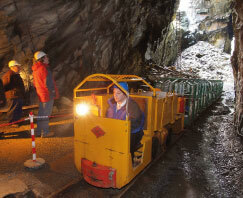 You can download a historic talk of Penrhyn Quarry at reception to listen to at your leisure. Take in the stunning views from the Big Top of Velocity, out towards Anglesey with views of the Isle of Man on a clear day! 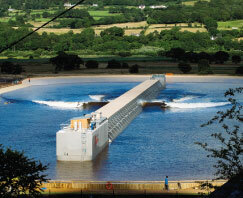 You will then descend down the Big Zipper over the quarry lake often reaching speeds well in excess of 100mph. 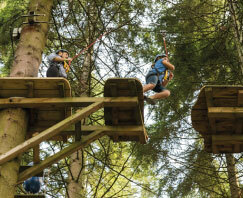 Set in the magical Douglas Fir forest setting in North Wales, the newest bounce sensation is the highest Treetop Nets® in the world, more than 60 feet above the forest floor with the longest net walk way in Europe. A revolutionary world-first inland surf lagoon and the UK’s most compelling outdoor adventure destination for you, your friends and the whole family to enjoy. Our awesome 300-metre surf lagoon is the main deal, but there’s loads of other stuff to try out when you visit – from adrenalin thrills & spills on our Crash and Splash lagoon to SUP safaris, kayaking and kiddies soft play. 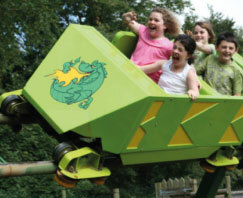 Voted Best Family Attraction in North Wales for six years running, days out don’t get much better than this! GreenWood Forest Park is set in 27 magical acres, and it’s easy to see why it’s a full day out – discovering woodland adventure, awesome attractions and forest family fun. 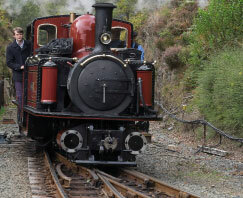 Visit the world famous narrow gauge railways for North Wales including the Ffestiniog and Welsh Highland Railway, Llanberis Lake Railway and the Model Railway Museum in Betws y Coed – fun for all ages!